I thought today I would put together a little guide of collected tips that I have learnt by not only planning my own wedding, but through working in the wedding industry. First, lets start with the guest list. Ah, the dreaded guest list. Some invitees come easy and have no question. Lifelong besties, siblings, your favourite cousin. But do I need to invite all of my second cousins? What about my workmates partner? Mum's best friend? If you are having trouble with some of that maybe list, here are some tips that may help. Have you spoken to that person in the last year? In person, on the phone, in skype? If you saw this person at a restaurant, and their card declined, would you pay for their dinner? Would you have dinner out with this person on a Saturday night? Will they make your wedding more fun? In ten years time, will you regret their absense? Okay, lets move on. Let's talk about Pintrest. Yes, pintrest is fun. It's totally addictive. Let's not talk about how many pins I've made (It's over 2000). But much of it is unrealistic. Styled shoots in perfect conditions with 10k worth of vendor contributions that use models is not realistic or attainable. Yes, use them as reference, use it as a mood board, and use it to figure out your theme and style you are after. But don't pin your hopes on it (Excuse the pun). When to book all your vendors. Ah, this is a big one. I see brides being caught up with their decorations before they even have a venue, and I see them worry about their hair before they have a dress. My biggest advice I can give you on this is to decide on your date and book your biggest vendors first. Once you have a date, think about the type of wedding you want to have. Do you want to get married in a beautiful historic church? Your favourite park or beach? Once you have settled on this, decide on whether you want an all inclusive venue or whether you want a ceremony in the park and your reception in a restauraunt. 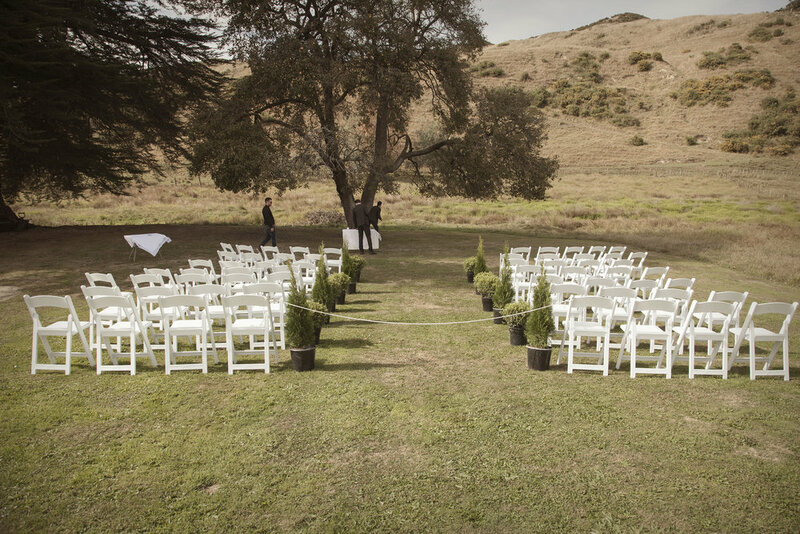 Once you have a venue, book your photographer and celebrant/officiant. Book your videographer, catering if you need it, and any other vendor that requires a large booking time. One year out is not unusual for these vendors, maybe even two. Great, now you have a date and location. Pick a theme (hey pintrest) and send those save the dates! Yay, you have a theme! Time to go get your dream dress. I would suggest getting your dress at least six months in advance. You have your dress now, so you can probably figure out your shoes and jewellery. Go get those bridesmaids dresses! Now you have them, you can figure out their accessories. See how the big things trickle down into the little things? Once you have a venue, decorations become easier. Once you have theme, invitations, flowers, decor, dresses and suits all become clearer. Once you have clothes, accessories become clearer. Most importantly, take it one step at at time. Are you getting married in the height of summer outdoors? Consider skipping favours and providing fans, water and sunglasses outside instead. Standing ceremony? Don't forget a seat for the older guests. Chance of rain? Consider umbrellas. Generally, you want to feed the vendors that have a) worked all day and b) will be there for the meal. Ask your venue about vendor meals, some do a special plate at a discounted price. Always sit these vendors with your guests, that way they are still their to photograph or video unexpected events and can get straight back into it when they are done. Also, nobody wants a photo of them eating. I want to tell you this from the get-go. No question is too stupid to ask me. Ever. Don't ever be afraid to ask your vendor a question, even if it seems silly or it's just to settle your nerves. I've had questions and requests for images I would do without thinking, and it's all come from a place of worry or because someone has let them down in the past. Yes, there will be plenty of images with you and your mum. Nobody except you and your partner need to know why you are doing something the way you are doing. This is your wedding, your day, your way. You don't need to explain the reason your best friends child is invited but your workmates's four children aren't. You don't need to explain why you aren't wearing white or why you have no bridal party or why your reception is at a pub. Assign someone to grab important keepsakes. You spent hours picking your stationery suite, your decorations, your boquet, and you paid for them! Often you can't grab those yourself, so enlist a parent, bestie or bridal party member to gather up the table stationery, boquets and decorations you want to keep. Remember to take a bit of time for yourself, and some time with your partner. I'll let you in on a secret. I always allow a few minutes at the end of our bride + groom session for you to have a few minutes on your own, and it's often the only down time you will get together. Use it! Don't forget the all important thank-you cards. They don't have to be intricate or complicated. They can follow on from an already decided theme or they can feature your favourite wedding photo! Sometimes this planning gig gets overwhelming. When that happens, take some time out, call your bestie and have some wine. Take a few days off. Your preperations will be there when you get back with a fresh and rested mind. Newer PostShooting for myself and how I keep passion alive. Older PostMoana - Six Months Old!